They were based on a simple concept, really. Gratitude. Being grateful not only for what comes easily, but for the challenges in life too. Because if we decide to look beyond ourselves, we have so very much to be grateful for… regardless of our situation. 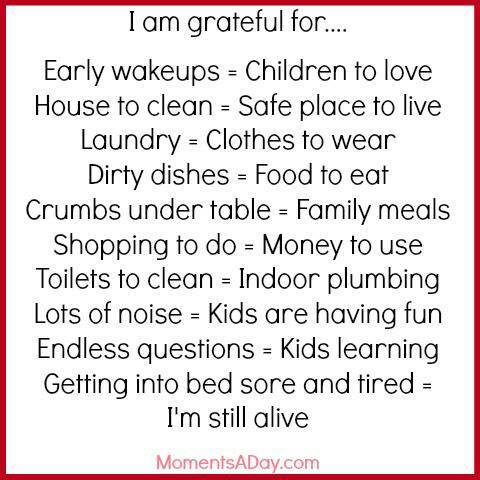 Not everyone has the items outlined in this list, but having an attitude of gratitude is a universal concept. The words have been reformatted by many creatives into various different images, but one of my favourites so far has been this journal rendition by Sarah of Blossom & Bear, a delightful online shop for fun, colourful and lovingly made gifts for you, your children and your home. We hope this initiative will remind us to be grateful for all we have while giving us an opportunity to pay it forward to another mother whose family would benefit from these daily necessities as well. Give $10 to your charity of choice. We used to collect this money and donate it once we received $100, but we are now using the honour system. Choose your own charity or pick one of our favourites: Kiva or the Tahirih Justice Center. Download and print the PDF by clicking here. It’s perfect for a frame or just to stick on the fridge – it’s up to you. Share this project with your friends so we can support more mothers! An easy way to do this is to pin one of the images on this page or share this link on Facebook! For the first couple years of this initiative, we sold the printables and donated the funds ourselves. When we sold 10 printables, we made a donation of $100. Below is a record of how we used the funds. 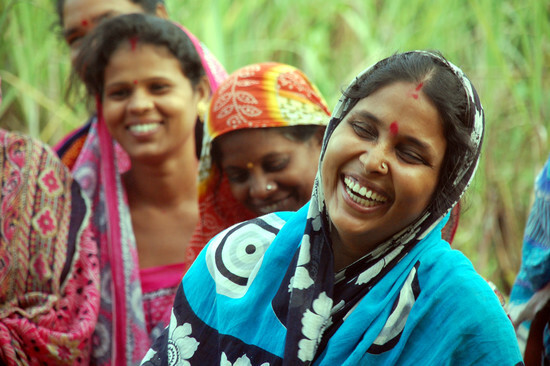 Kiva is a a non-profit organization with a mission to connect people through lending to alleviate poverty. Read more about micro loans and watch a video about how it all works on this page. Our first $100 went to Titin via Kiva in Tangerang, Indonesia, made on 13 January 2016, to improve access to sanitation and water sources for her family. Our second $100 went to Janet via Kiva in Leyte, Philippines, made on 6 February 2016 to obtain capital for her business to supplement the family’s income. Our third $100 went to Muhabad via Kiva in Dushanbe, Tajikistan, made on 8 March 2016 to repair her house (roof, doors and windows) because her family is suffering from the cold and wind. Our fifth $100 went to a mother in Vietnam via Kiva made on 18 August 2016 who needed the finances to help pay for her son’s university fees. Our sixth $100 went to Katey, whose son Finlay who was diagnosed with High Risk Stage 4 Hepatoblastoma, via their family’s Go Fund Me fundraiser. Follow their story on the Friends of Finlay Facebook page. Our seventh $100 went to Leah in Kenya via Kiva made on 23 October 2016 who needed funds to boost her farming business. Our eighth $100 went to Chrissy on 22 December 2016 to support Esme’s Autism Journey. Our ninth $100 went to Rose in Kenya made on 27 January 2017 to buy cereals for her business to gather funds to pay her children’s school fees. Our 10th $100 went to Muattarkhon in Tajikistan on 27 February 2017 to help pay for expensive dental treatments. Our 11th $100 went to Preap’s Group in Cambodia on 7 June 2017 to purchase a boat for a fishing business to support her family. Our 12th $100 went to Annet Ponny in Uganda on 18 August 2017 to buy a new stock of clothes to boost her business and generate income to pay school fees. Our 13th $100 went to Annissa on 30 August 2017, a mother of three in Australia who is undergoing cancer treatment. Our 14th $100 went to Nino in Rustavi, Georgia on 18 October 2017, to help cover the first year educational costs of her studies. Our 15th $100 went to Tisi on 17 December 2017, a mother of two in New Zealand undergoing cancer treatment. We started using the honour system for donations in December 2017. Thanks for participating in the Grateful Mama Project. We are very grateful for your donation and are excited that you have decided to help make a difference to more mothers through this initiative. Let us all enjoy the gift of gratitude.